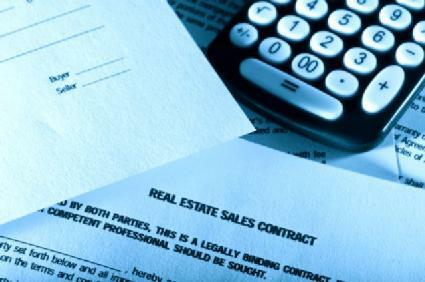 Monthly house payments are also referred to as mortgage payments. The amount of your house payment each month depends on how much money you borrow and for what length of time. Monthly house payments should be affordable. You do not want to agree to a house payment that you cannot comfortably afford because this can lead to real financial problems. In other words, monthly house payments should not squeeze the finances of homeowners to the point where there is absolutely no financial wiggle room whatsoever. There should always be money left over to cover the ongoing expenses of daily living. Otherwise, homeowners will quickly find themselves in a situation where they are living paycheck to paycheck. Even worse, the situation could quickly and easily evolve into one where homeowners fall behind financially. Principal: This is the balance of the mortgage. It's the amount you actually owe on the home. Interest: The amount of interest you pay depends on the interest rate of the loan. Property Taxes: Unless you pay real estate taxes on your own to the county this will be a portion of your monthly house payments. Insurance: Homeowners insurance is also a portion of the monthly mortgage payment for most people. In some cases, it may be paid directly to the insurance company by the homeowner instead of being handled through an escrow account. Private Mortgage Insurance: If your mortgage requires a PMI policy then this will be a portion of your monthly payment until you accrue enough equity to eliminate this expense. It's a good idea to check in with your lender periodically to find out when you might be eligible to get rid of your PMI payments. Homeowner Association Fees: If your home is located in an area that has a homeowners association then this may be included as a portion of your monthly mortgage payment. Some homeowners also have subordinate mortgage payments that are due each month if their mortgages include this type of creative financing. Not all of these factors apply to all mortgages. In fact, some people merely have to pay principal and interest payments because their taxes and insurance are not escrowed. Not everyone has private mortgage insurance, and homeowner association fees do not apply to every homeowner. If you are in the market for a mortgage and want to find out an approximation of how much your monthly payment will be, try LoveToKnow's calculator below. Monthly payments for mortgages can be fixed or adjustable, but both have the potential to vary if the costs of taxes or insurance fluctuate and these items are escrowed as part of the payment. Payments for fixed rate mortgage loans do not have nearly the same potential to increase or decrease as much as adjustable rate mortgages do, so homeowners who do not want monthly changes to payments should consider a fixed rate mortgage.